We proudly celebrate our first decade plus providing Edutainment for Louisiana History! Louisiana's history transcends from native peoples to empires of France and Spain to the transition to democracy as proud citizens of the United States of America. Guided by a passion to understand the fabric of America’s diverse cultures, our historical journey offers a glimpse of life steeped in centuries of traditions, human dramas and challenges. Louisiana's unique cultures are more than a mixture of peoples but a creation of new cultures. One of her misunderstood cultures, Louisiana Creoles, plays a vital role in the story of Louisiana as its indigenous colonial blend of peoples and traditions. 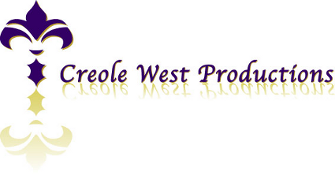 Creole West Productions was founded to bring this remarkable history alive. Our projects are based on Louisiana's history and place in the larger spectrum of history as edutainment for all audiences. Our edutainment products feature a tailored style with a meticulously scholarly touch retracing the footprints of Louisiana’s past. We provide a sustainable historical trail bringing Louisiana history alive via the internet, publications, multimedia, and events.